Are There Genres in Picture Books? We always talk about genres in novels, but what about in picture books? Are there any? Are they the same as for novels? Is it even helpful categorizing picture books into genres? It seems to me that picture books can definitely fall into the adventure, mystery, sci-fi, horror (monster books), and fantasy genres, even though we don’t usually do this. Instead, we think of them falling into either character-driven or concept picture books. Then, of course, there’s nonfiction like biographies, and fairy tales, fables and folktales. Of course, there’s the ever-popular fractured fairy tale, which are fun twists on traditional fairy tales, like The True Story of the Three Little Pigs, Little Red Gliding Hood, and Good Night Baddies. But there’s also an emergence of other picture book genres that are wowing young readers. The first are what I call Wonder Picture Books. 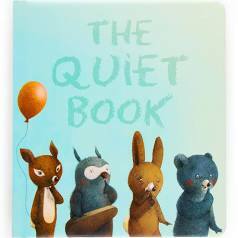 They’re usually beautifully illustrated with rich poetic language, often for a new baby or young child. Adults love them as much as children, maybe even more so! Some examples include: The Wonderful Things You’ll Be, All the World, and On the Night You Were Born. “Meta” Picture Books: They ask the reader to think outside the book and question what a book is. Often readers are pulled into the action with the use of second person and even asked to physically interact with the book like in Press Here and Tap the Magic Tree. This has been the breakthrough picture book category of the past few years. 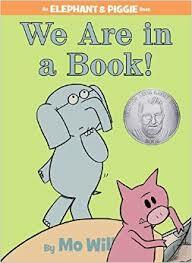 Other books in this category include We are In a Book (Elephant and Piggy Series) and The Book of Mistakes. The Don’t Books: Maybe, the recent surge in Don’t Books took off with Don’t Let the Pigeons Drive the Bus. Nothing thrills children like a bossy picture book because they’re usually the ones being bossed around. 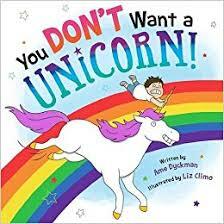 Examples include: You Don’t Want a Unicorn, I am Not Book I am not a Chair, You will not like this Book, The Day the Crayons Quit, and Be Quiet. The Mash-Up Picture Books combine two popular things and mash them together. Kids love these, too, because they’re unexpected, and they break the rules and that’s pretty exciting stuff. Plus, they are usually packed with a big splat of humor. Examples include: Dragons Love Tacos, Dear Santasaurus, Pirosaurs, and Dinotrux. I hope this has been helpful. Let me know your thoughts on picture book genres!